Snippets of Jack: "This Shot Was Not Meant For You"
"This Shot Was Not Meant For You"
In the classic scene of The Pirates of the Caribbean: Curse of the Black Pearl, when Jack and Will first lay eyes on eachother, they immediately try to kill eachother. Jack just wants to get himself out of Port Royal because he has Commodore Norrington chasing him down. Will has heard that a pirate has theartened his love, Elizabeth, and therefore needs to teach this pirate a lessen. So they duel. In the end, Jack desparately needs to get out because he can hear the British Navy pounding on the front door of the blacksmith shop. Will is blocking the back door so he can't leave. So Jack pulls out his gun and points it at Will. Jack: "Move away." Will: "No." Jack: "Please move." Will: "No. I cannot just step aside and let you escape." Jack: "This shot was not mean for you." Then the blacksmith finally wakes up and hits Jack with a bottle, knocking him out. These words are rather confusing at first. What does he mean that the shot is not meant for Will? Of course it isn't, who would want to kill Will? Earlier in the movie, James Norrington also discovers the same pistol. "No additional shots nor powder, a compass that doesn't point north," (drawing out the sword) "and I half expected it to be made of wood. You are without doubt the worst pirate I ever heard of." Did it ever occur to you, James, that maybe there is a bigger picture here? By the way, it's a little funny that when James holds the compass up, it points to himself. So where did the pistol come from and why is it so important? As we all know, Barbossa and the crew abandoned Jack far back on a little desserted island in the middle of nowhere. He was left with nothing but a pistol with but one shot. "When a pirate is marooned he's given a pistol with a single shot-- one shot. That won't do much good hunting not to be rescued. But after three weeks of a starving belly and thirst, that pistol start to look really friendly. But Jack, he escaped that island and still has that single shot. He won't use it though, save on one man. He's mutinous for his mate." -Gibbs. So instead of killing himself with that one shot, or Will, Jack's waiting to find Barbossa and use it on him. Clever, eh? Except this is a bit difficult because Barbossa can't die. Jack does find Barbossa and his crew. And they maroon him and Elizabeth on an isalnd, again. Infact, they leave him on the same island with the exact same gun. Jack: "Last time you left me with a pistol with one shot." Barbossa: "By the powers you're right. Where be Jack's pistol. Bring it forward." Jack: "Seeing as there's two of us, a gentleman would give us a pair of pistols." Barbossa: "It will be one pistol as before and you can be the gentleman and shoot the lady and start to death yourself." Very chivalrous. They throw the pistol into the ocean and make Jack get it himself. Against all odds, Jack and Elizabeth make it off the island, again. And they sail with the navy to Isla de Muerta. Jack and Barbossa sword fight all around the island while Will and Elizabeth take on the other cursed crew members. Then Jack finally does it. 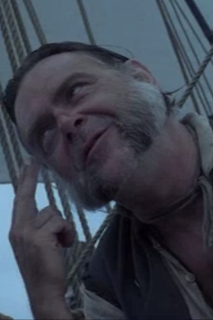 Barbossa: "Ten years you cary that pistol and now you waste your shot." Will: "He didn't waste it." That's unfortunate. Will was too quick and he turned the whole crew mortal again just after Jack shot Barbossa. So at last Jack gets to use his pistol and kill his mutinier. Of course, Barbossa comes back to life later but that's besides the point.